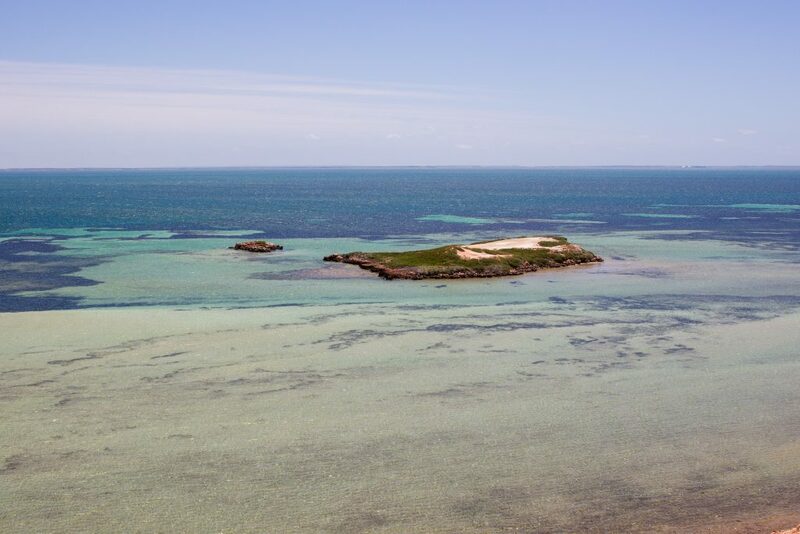 “They wanted to do a competitive swim across Shark Bay but the city reckons it’s too risky,” the pub owner explained and coyly flashed his teeth. At the sound of this, I quickly reflected on the three ways that Australians name places. 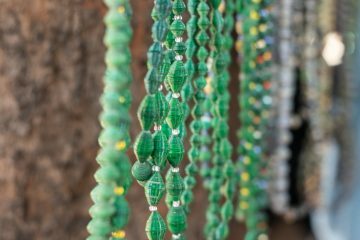 The name is derived from the original Aboriginal word. For example: Mandjoogoordap Drive. Coobellup. Ngooloormayup. The name is after something or someone white, rich, or British. For example: Stirling Highway after Captain Stirling, Reid Highway, Scarborough. The name is the literal description of the place. Example, Little Beach, Pink Lake, Little Lagoon. In my three years of living here, my experience of the third category not living up to its name happened exactly once, at Penguin Island. So of course, the namesake of Shark Bay concerned me. But maybe this time Shark Bay was a more abstract description? I squinted my eyes at a map of Shark Bay, and convinced myself that surely it was named after being vaguely shaped like a deformed shark. Picasso style. It was a stretch, even with my overactive imagination. The barkeeper continued, “The real reason Shark Bay is called Shark Bay? It’s filled with bloody sharks!” His raspy laugh echoed throughout the bar. 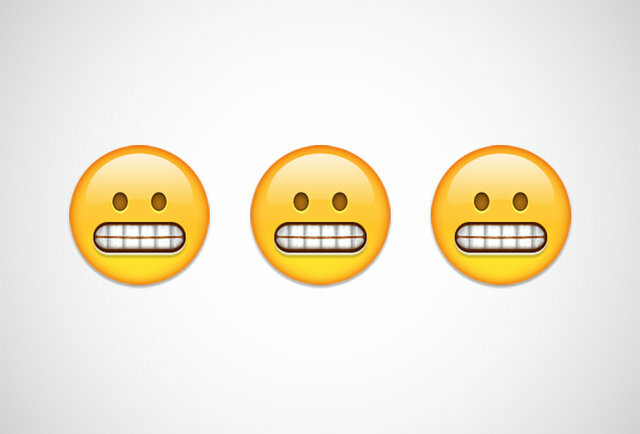 My face instantly turned into the grimace emoji. Well, at least I heard this fun fact after I’d already been kitesurfing in the Shark Bay the entire day. 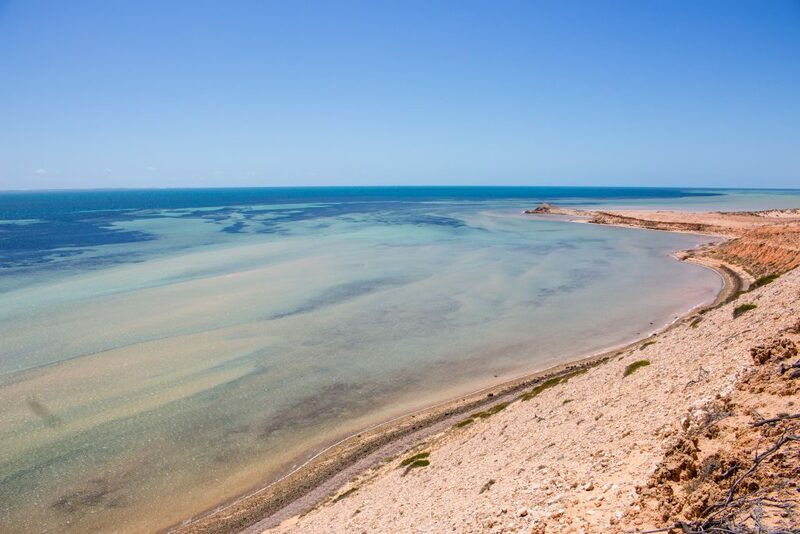 Shark Bay in Denham is one of Australia’s UNESCO World Heritage sites, home to a whopping 1,000 humans and 10,000 dugongs. Twice as salty as the ocean, this bay is a nursery and sanctuary for juvenile sharks, turtles, stingrays, dolphins, and endless species of fish. They find refuge in the shallow water, while Finding Nemo’s “Fish are Friends, Not Food!” club members live in the deep center of the bay. 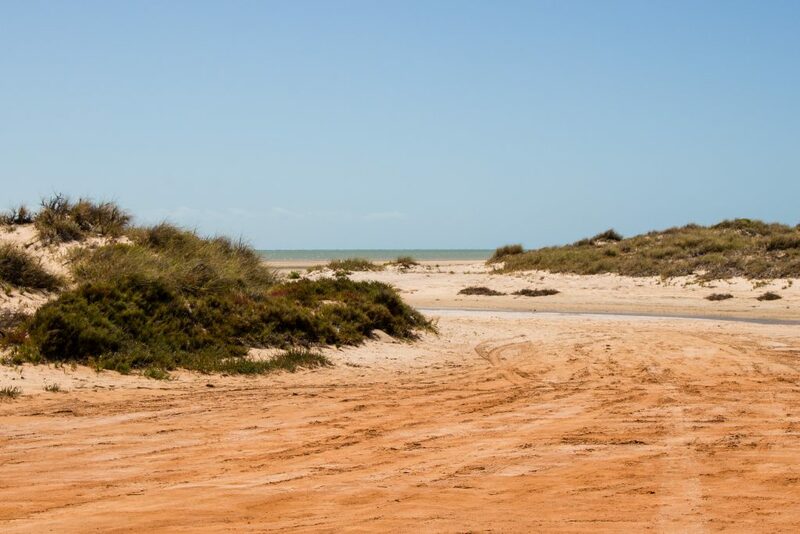 Stand here long enough, and you can easily see the outline of all the creatures who call Shark Bay home. 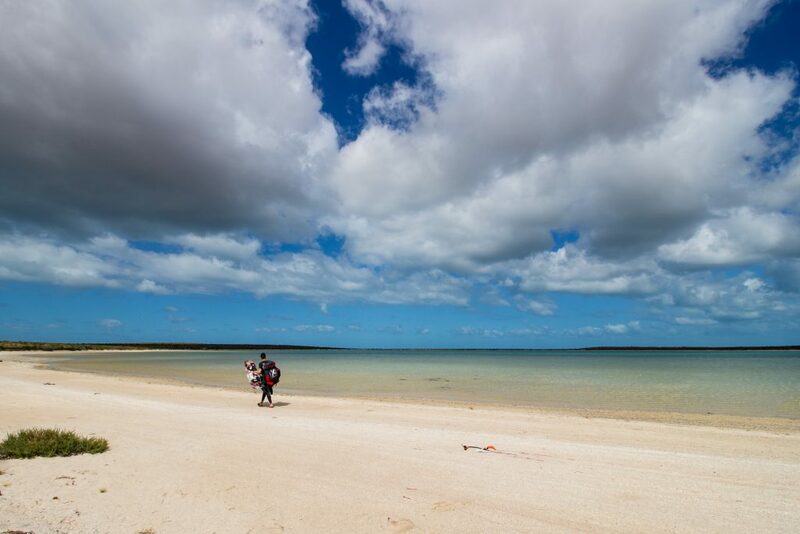 After our stops at Lancelin and Coronation Beach, we finally made it up to stunning Shark Bay. 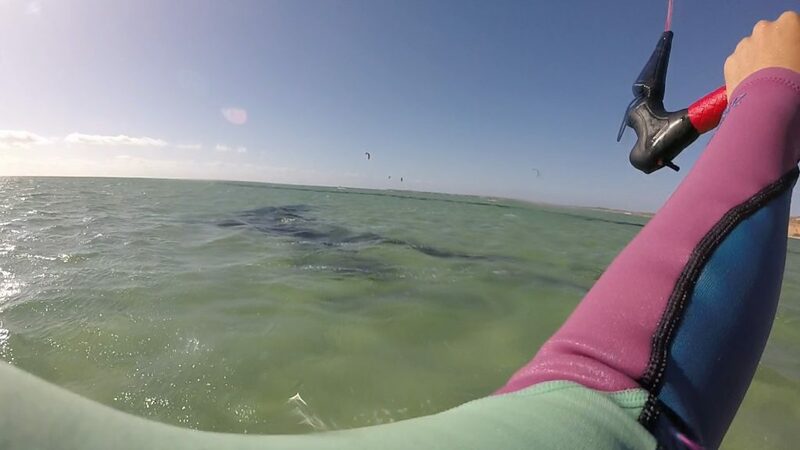 Perfect conditions for a downwinder (where you start at one spot and kitesurf downwind to another), we started at Eagle Bluff and set off 20 kilometers downwind to The Thong Shack in Denham. The shelf of the bay was waist deep for hundreds of meters out. This meant that if you fell, you’d be able to stand and recoup no matter where you went. Stingrays, shovelnose sharks, and little sharks surrounded us. I shrieked every time I fell, praying that my body wouldn’t pin a stingray to the ground. I found watching my kite impossible, too mesmerized by the creatures and dark seagrass patches blurring beneath me. 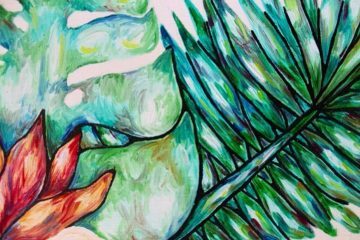 Every few seconds, a ray would glide under me, the edges its wings rippling like a thick ribbon in the wind. All types of rays with pointy wings, round wings, long bodies, or short tails swam alongside us. They fled from the large shadows of our kites overhead. Being the only beginner on the tour, one of my tour-mates, an older wine-making Frenchman stayed near. He constantly cut me off, corralling me and herding me downwind. At first I was annoyed, irritated that he was getting in the way of my solo endeavor. It wasn’t until after the downwinder that I realized that he was doing it out of affection, like a kitesurfing sensei complete with a thick accent. “You were going upwind! This is a downwinder!” He explained. A group of fins rose to the surface above one of the dark patches a few feet away from me. I shrieked and drove my kite inland, willing myself not to fall. Despite the cool water, I felt a quick sweat break out over my skin. My heart raced underneath the thin layer of neoprene. Fortunately, it was only a pod of dolphins. Though I’m always so excited to see them, I make a mental note that if they can swim that fast and that shallow, so can other creatures. Out to sea, the water changed from tan, to black, to dark blue. Dark red sand with no civilization in sight lined the shore. 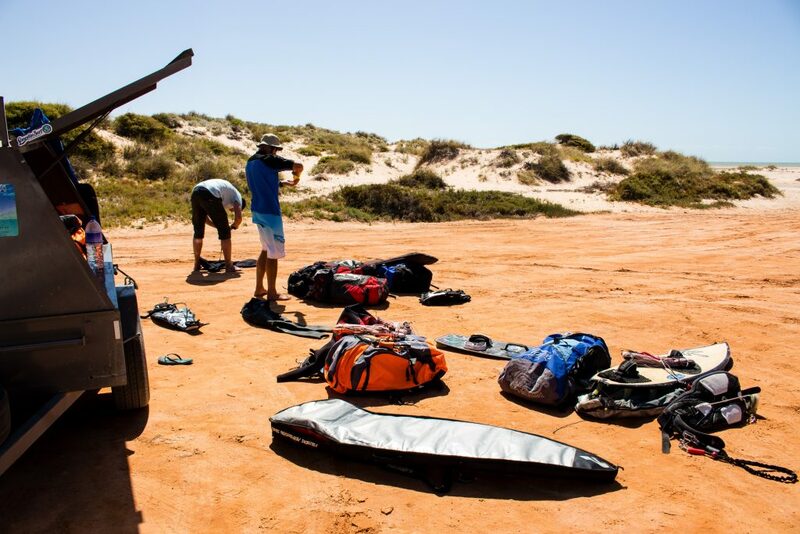 Completely isolated, skimming over the top of the water with sea life soaring underneath me, kitesurfing in Shark Bay was the epitome of my ideal adventure. My legs ached and burned after an hour, not used to riding a board for such a long period of time. 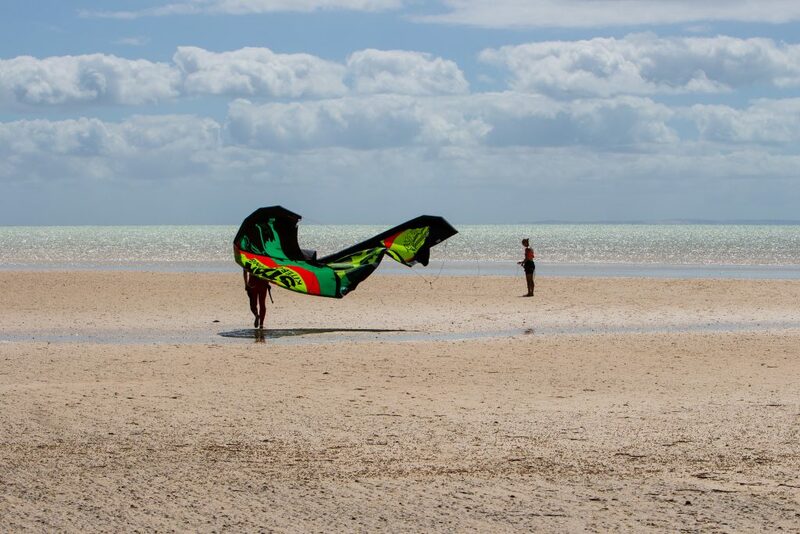 At the end of the two hours, when we reached our destination, a few others in the group kept kitesurfing. My legs were too exhausted to keep going. 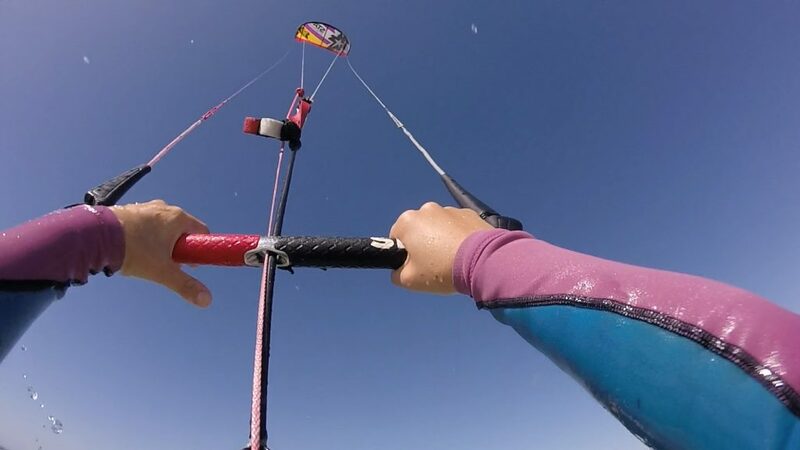 We repeated the downwinder the next day, and any insecurities and fear that accompanied me on the first ride vanished by the next morning, with the second ride being just as magical. 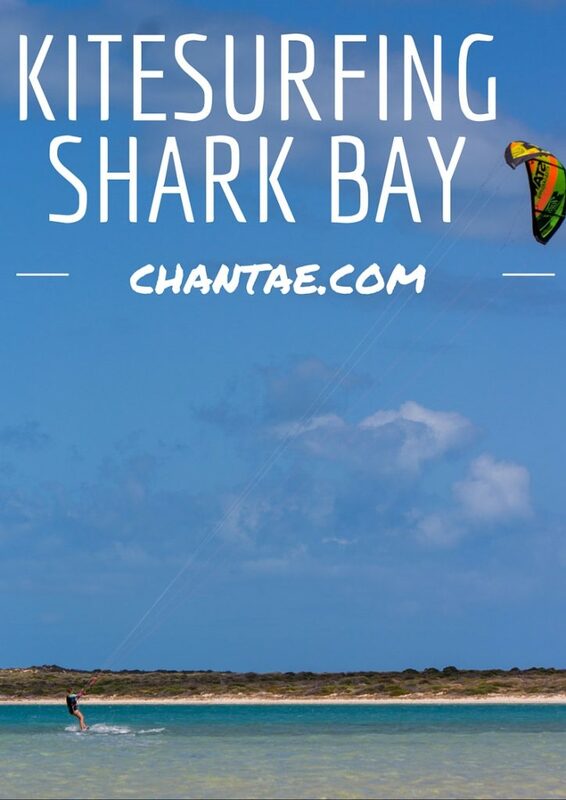 One morning, we launched our kites at Little Lagoon, a small, salty, flatwater spot that is supposedly friendly for beginners. Unfortunately, the wind was not strong enough for me to easily stay upwind and I spent my time being dragged across the sharp shell bottom and staying away from what’s known as the “stonefish hotspot.” Hopefully there’s a windier next time. Within a few short days, my confidence in kitesurfing shot from zero to maybe-I-won’t-die-after-all. Though I always chase adrenaline-inducing adventures, I’m far from being fearless. 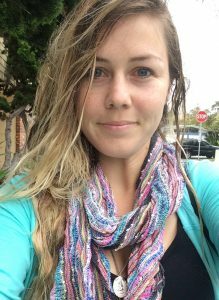 What’s not shown on this blog (often) are all the times I’ve sat in the water on my surfboard or with a kiteboard crying crocodile tears in frustration or fear. So, kitesurfing nonstop for an entire week without a major fiasco is an accomplishment for this crybaby. 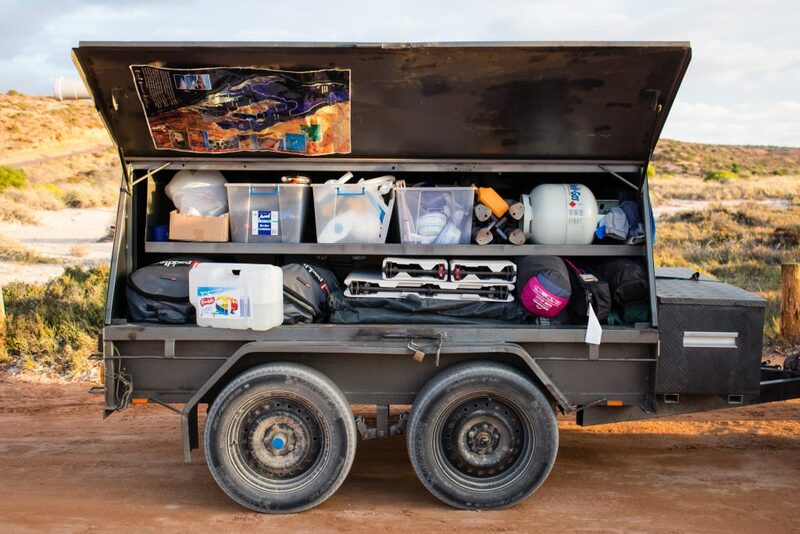 Where to Camp in Shark Bay: There are two camping parks in Shark Bay. 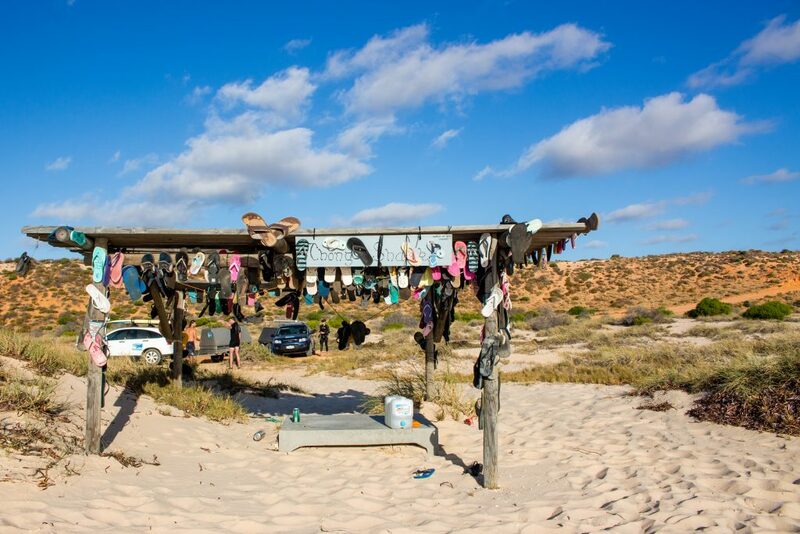 Shark Bay Caravan Park is located right on the beach and has stunning views. 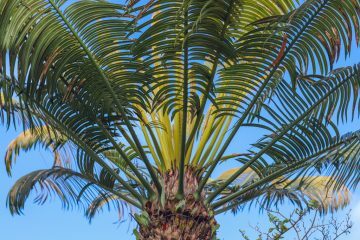 However, it is not protected by the wind. This means that cooking dinner, setting up camp, and even sleeping can be a challenge if you’re camping outside of a vehicle. 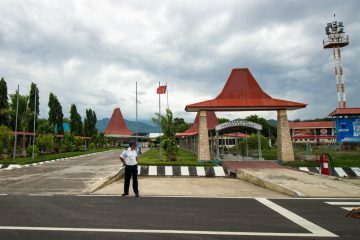 Blue Dolphin Caravan Park is an alternative that has great amenities and is slightly more sheltered from the wind. 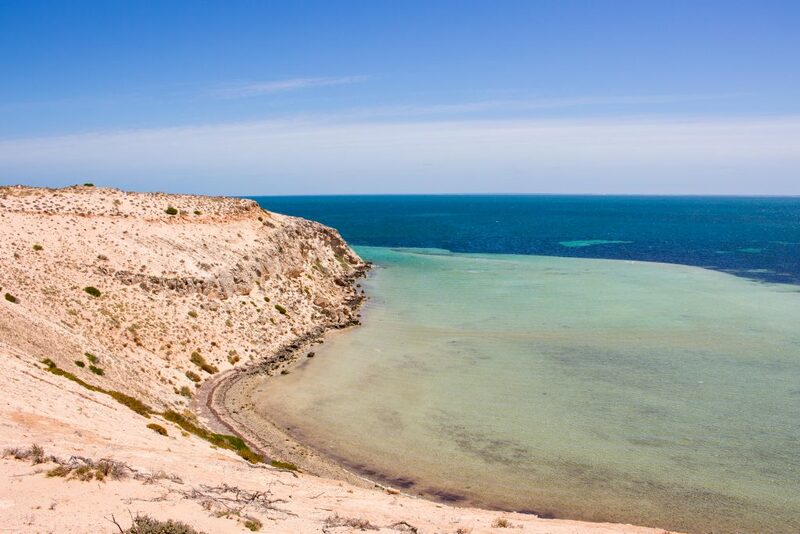 Things to do in Shark Bay: Since the water is so clear and flat, it’s great for swimming, snorkeling, scuba diving, and even wildlife spotting from Eagle Bluff. 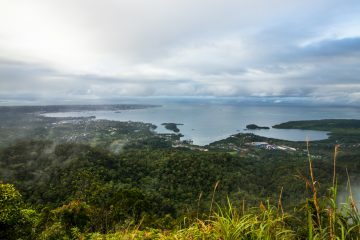 There are a variety of bushwalks, especially during wildflower season which is much cooler than the midst of summer. This is so sick. Never been to Shark Bay and from the sounds of it I’m missing out. But I’m not sure how I’d feel about the sharks. Do you know when the next tour up there is running? Yeah you are for sure missing out! 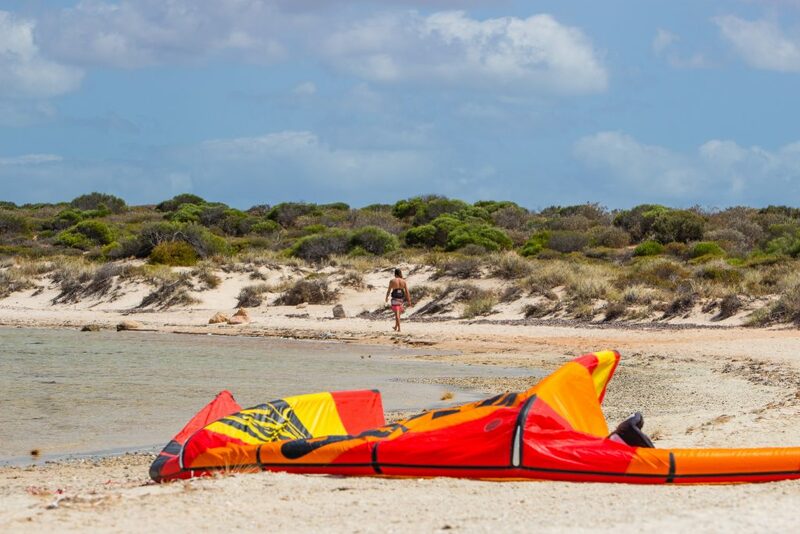 The season is over with Adventure Kiting WA 🙁 I think they start up again around October but I’m not 100% sure! How did you get those gopro pics? Wouldn’t a helmet cam come off? Love your writing btw. 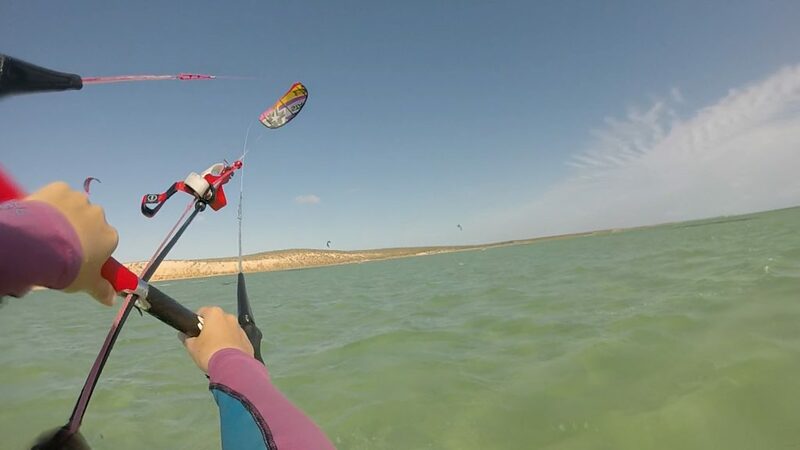 I totally know the feeling of being freaked out while kiting. 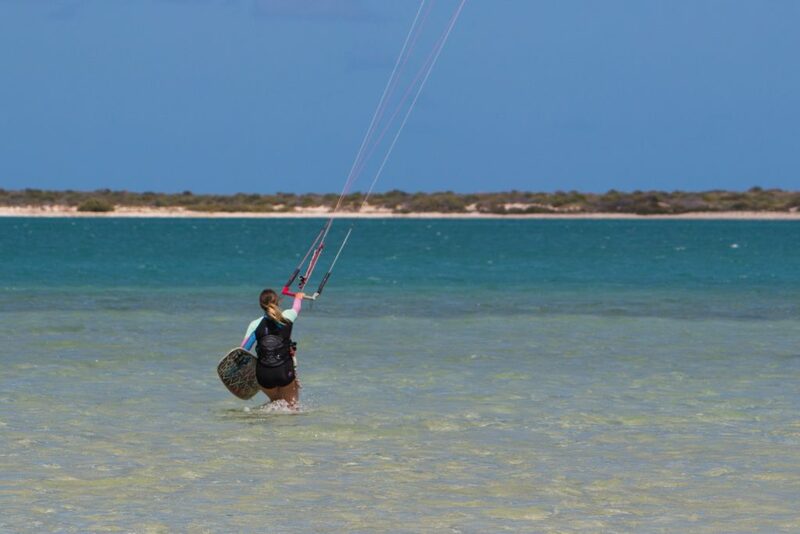 I am always freaked out while kiting! Kitesurfing looks amazing!! I don’t know about the sharks though haha. Guess it adds an extra adrenaline rush. Hahha, yeah you can think about it like that! I felt like I was reading a suspense story! I would freak out if I saw something similar to a shark! 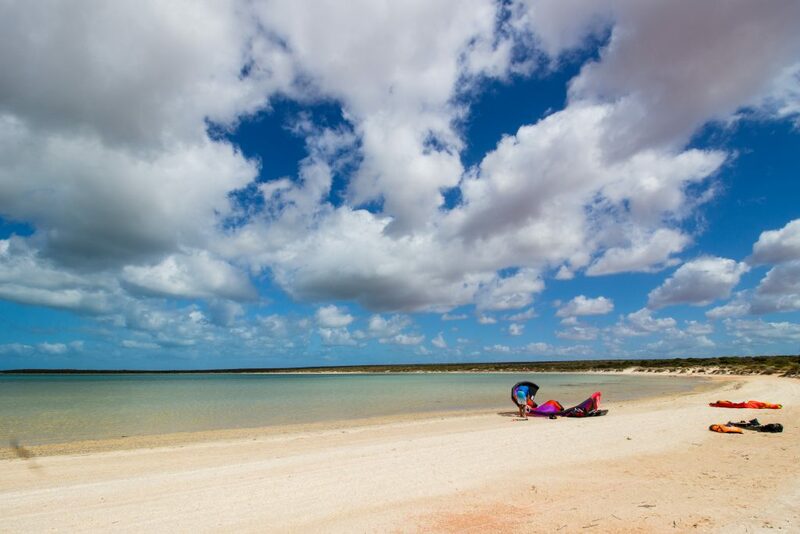 Wow, just wow – Shark Bay looks absolutely gorgeous! And can’t believe you saw those dolphins while kiting. Would be an amazing experience. 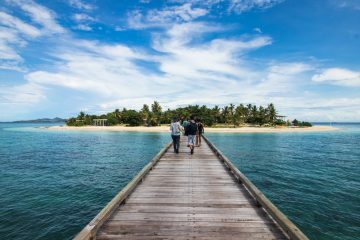 I’m super interested in doing a working holiday visa in Australia, and this post definitely will be referenced once my dream becomes a reality! 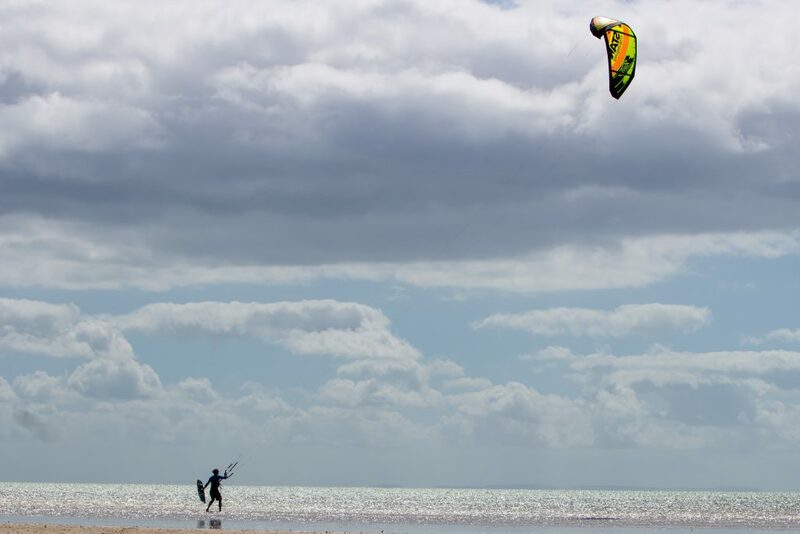 I’ve never been kitesurfing, but it looks so fun! 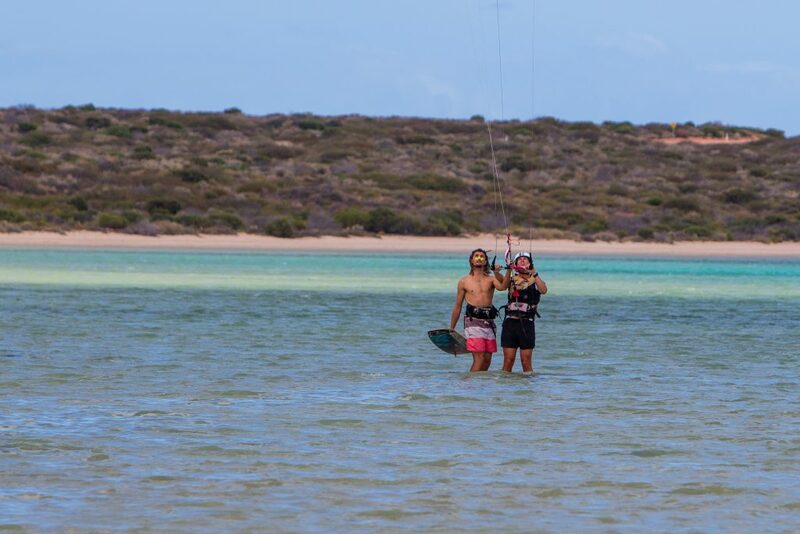 If you come to Perth, you should do kiting lessons! Learning how to fly the small kite is pretty fun. I don’t think I’ll be kitesurfing near sharks anytime soon! That sounds terrifying. I’ve always been a bit wary of water (so much you can’t see under there!) and deliberately going where there are critters that scare me is a big no-no. 😀 Congrats on a week of kiting. Wow, your photos are amazing! I love all kinds of adventure while traveling, but I’m not sure about this one. I might just be too chicken to try having sharks for surfing buddies 😀 I think finding out after the fact would be best in such circumstances. I didn’t want to write it in here, cause I was saving it for another post… butttt… my friend told me that there was one moment where a decent size shark swam in my spot just a minute after I stood up and got going. Probably better not to know this kind of information. I have tried kitesurfing when I was in Thailand donkey years back. But never had I tried kite surfing in very dangerous waters. This is definitely going into my to-do list when I head to Australia. How many years is donkey years? That’s funny! You will LOVE it – it’s not actually that dangerous, the name hypes it up hahah. seriously, so cool! I see people kite surfing from time to time in Florida and it looks like something that’s much harder than it seems. Oh my God! 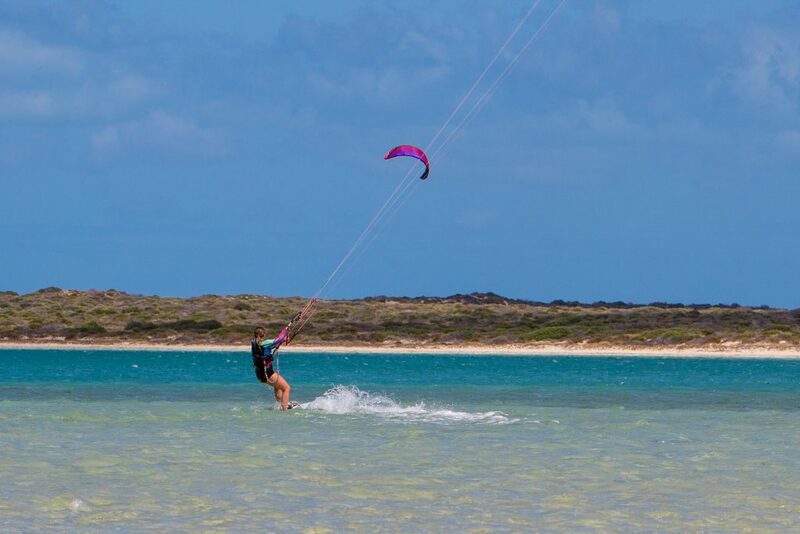 Kitesurfing in Australia! To me it sounds like a dream! Sharks Bay is so beautiful.. Thanks Nikki! I think water athletes in the UK are much more badass 😛 They brave colder water! I am always afraid :P! Haha glad to hear I’m not the only one 🙂 Thanks Evanne! So much adventure in one places, such places always attract me and this reminds me of a few national parks in US! Ah yes, national parks also give a similar feeling! Ahh yes! 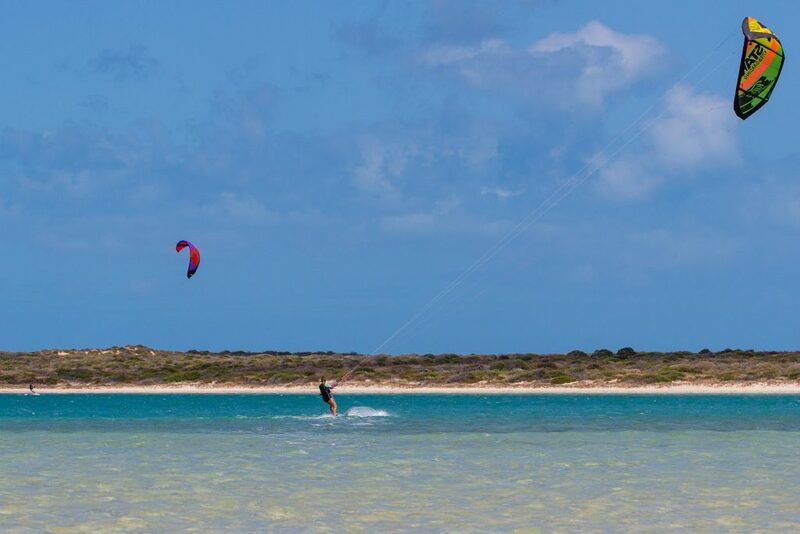 Even if you don’t kite, Shark Bay has so much wildlife and beautiful scenery… and dugongs! Yes! 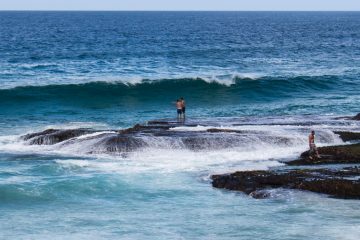 Swimming is a must – the good thing is, the water is very very shallow so you can stand almost everywhere in the bay. I am from Perth and I haven’t even experienced Shark Bay yet (shame on me)! Loved reading your post, it was super insightful and the way you write is fun, informational and matter of fact. Great post!!! Thanks Suanlee! You really do have to get up there, I’m sure you’d love it. But it’s always like that isn’t it? I’m from California and haven’t seen a LOT of my own state either! Do you have any plans to come to Oz? The photos are breathtaking! Such an adrenaline rush and amazing experience! I’d love to be able to do it… though due to my knee problem, I’ll never be able to:( But I enjoyed your story! 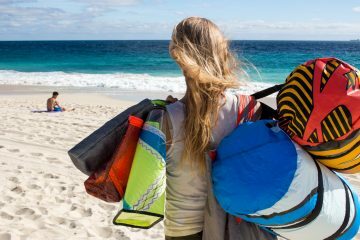 I never tried kitesurfing, but what excites me about this article is the under water that can be found in thi Bay, my eyes says wow! When I read the word dolphins! I love seeing dolphins would love to visit this someday. 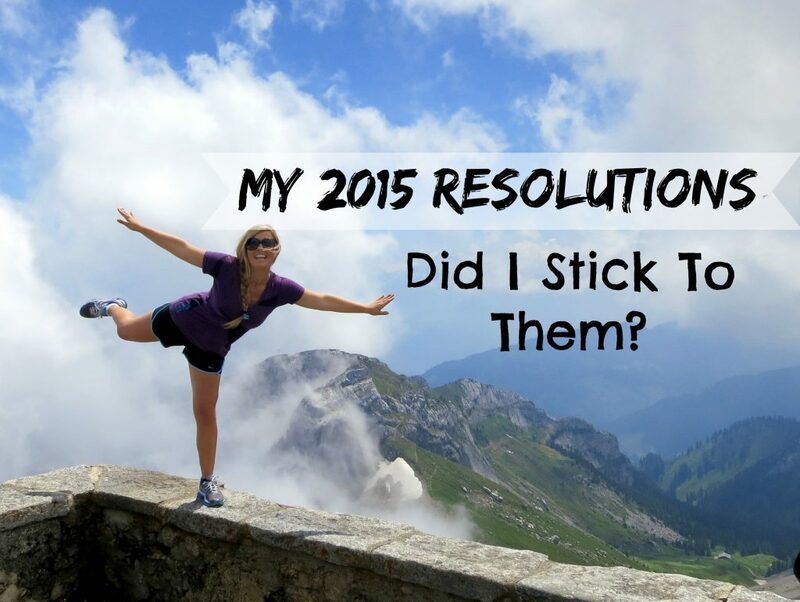 You definitely should! It’s a beautiful place and if you love dolphins then it’s definitely the place for you! 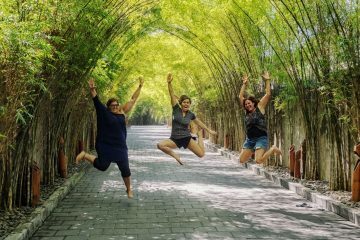 Beautiful photos despite the worrisome name! Sounds like something to add to the bucket list! Thanks 🙂 And I agree! 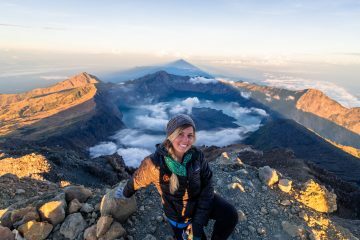 Love your adventurous nature! I’m adventurous too but this makes me a bit nervous! 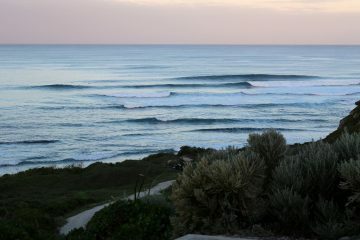 Its fun i travel all over the world to find beautiful places and theres some incredible ones right here at home! Looks so beautiful and clean! will get there one day! 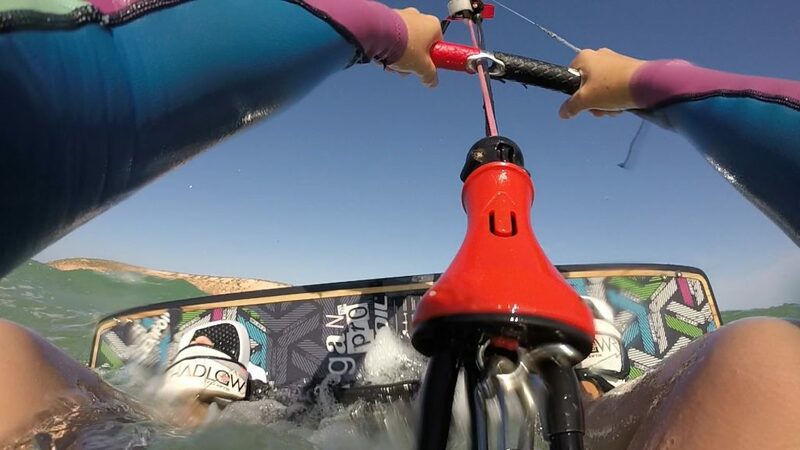 I am just learning Kitesurfing and I am at the water start stage – it sure is challenging. How long did it take you to get up on the board and ride 100 metres? It is really challenging for sure! It took me at least 4-6 times to go for a while – being in the water. At the beginning, I fell a lot and would spend a lot of time body dragging to get my board back. Keep it up, you’ll definitely get it. It gets easier with practice! Wow! Kitesurfing really sounds good. I want to experience that excitement and challenge. But the thought of it makes me feel nervous. I love to feel the heat as well the wind that thumps on my whole body!! !